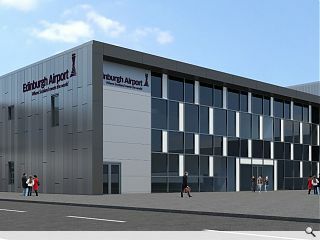 A topping out ceremony has been held at Edinburgh Airport to mark the airport’s new EAST expansion attaining full height. Delivered by Balfour Beatty and designed by Archial the project is the first phase of a five year, £150m investment plan and is now moving toward internal fit-out and will entail creation of a new security hall, shops and offices. 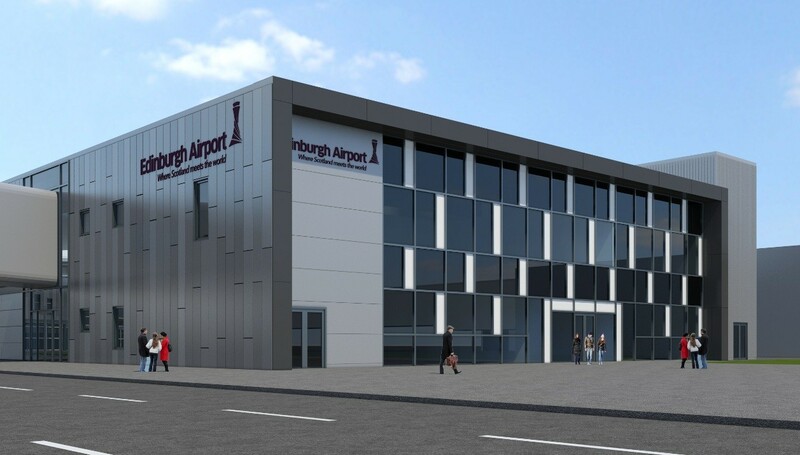 The £25m terminal extension stretches to 6,000sq/m and is designed to provide better access to a new tram stop whilst offering an improved security screening area and new business centre. I agree .It is very BLAND.